Pinterest is the “in” site of 2012, and its phenomenal growth has sparked interest among millions of users. 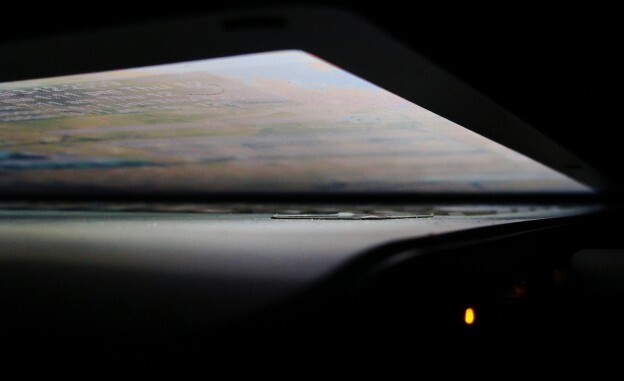 It’s also spread to journalism educators, who are increasingly experimenting with it in the classroom. Pinterest has sparked interest not only among millions of users, but also among journalism educators, who are increasingly experimenting with it in the classroom." Now J-school faculty are increasingly in on the act. 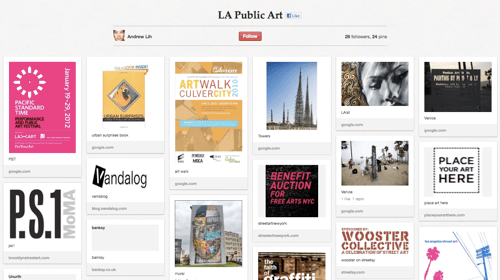 One early adopter was University of Southern California’s Andrew Lih, who last October, long before he and many others knew the site would become a blockbuster, introduced it to online students in an entrepreneurial class to gather what he called a “mood board” for a project on public art. Lih explained that the students took advantage of Pinterest’s easy-to-use clipping approach to create a densely packed visual scrapbook of public and street art to identify themes that would have easily been missed had they gathered individual photos in a folder. 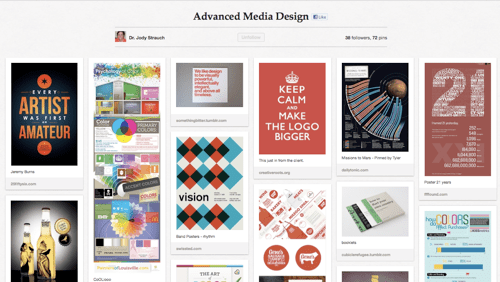 Jody Strauch at Northwest Missouri State University has used Pinterest to show good design work to her media design classes. Heather Starr Fielder uses Pinterest boards in her classes at Pittsburgh’s Point Park University to share visual material for collaborations and peer critiques. But social curation journalism is, not surprisingly, one of the main applications for Pinterest among J-school faculty. For example, Carrie Brown-Smith, a journalism prof at University of Memphis, had students use Pinterest as part of a “social photography” assignment in a media site. She said the best Pinterest work came from students who have beats or blog topics, such as fashion, that are well-suited to Pinterest’s strengths. At Minnesota State University Moorhead, Deneen Gilmour assigned students in a “writing for the web” class to produce stories for their Doing It Downtown blog to use Pinterest as a curation tool for visuals, while using Storify for social media and Spotify or LastFM for music. One student produced an innovative story with the Pinterest boards she gathered to help guide restaurant and shop-goers to gluten-free menus items. Speaking of copyright, is Pinterest the new Napster? Pinterest is not without its drawbacks. Not all students, especially males, find it equally intriguing. USC’s Lih noted that while the site was a plus for his USC project, most students discontinued use after the class. One additional problem, he said, is that Pinterest doesn’t allow users to pin background images or those that are part of a CSS stylesheet, preventing pins for embedded logos or banners. Lawyer and amateur photographer Kirsten Kowalski likened it to Napster due to the liability its terms of service and copyright policies create for users of the site; she then “tearfully” deleted all her boards. Another attorney writing in Ad Age last week advised brand managers to strictly limit what they pin. In the wake of the buzz over Kowalski’s posts, Pinterest’s management has tried to respond to copyright worries. The Washington Post reported that Pinterest issued a statement on March 15 suggesting that, like YouTube and other social media sharing sites, it is “protected under the safe harbor of the Digital Millennium Copyright Act (PDF),” and also tries to respond promptly to any copyright violation concerns. But blogger Christopher Mims of Technology Review suggested last month that Pinterest’s “copyright dodge” is actually a stratagem that has helped fuel the site’s growth. Rather than force users to figure out copyright first before posting an image, a la Flickr, it simply provides a flagging mechanism for copyright violation after posting. “By resolving the rights on an image after the fact, Pinterest creates a frictionless mechanism for sharing — which is precisely why the site has taken off,” wrote Mims. Assuming copyright issues will calm down, those of us who teach journalism may find continued inspiration from news organizations testing Pinterest. The blog 10,000 Words recently wrote about some newsroom uses of Pinterest, from posting behind-the-scenes and staff pictures, to sharing vintage news organization photos and interesting infographics. Another blog entry has ideas for newsroom applications, such as opening user-generated boards, sharing top 10 or list stories, pinning breaking news photos, or posting teasers, like front pages in the making or upcoming newsmaker interviews. Here are some more ideas on news uses for Pinterest. Let us know — are you using Pinterest in your classroom, or planning to? Are you aware of intriguing news organization boards or innovative uses? Share with us in the comments below. A. Adam Glenn is associate professor, interactive, at the CUNY Graduate School of Journalism, and a longtime digital journalist and media consultant. Connect with him on Facebook or LinkedIn, and follow his Twitter feed. This monthly column draws liberally from conversations about digital journalism teaching practices on the online educators Facebook group of the Online News Association. The ONA Facebook group is currently a closed group but you can view ongoing conversations (see our group Q&A tracker), or join in via ONA membership. Really great Similarly, at Colorado State University, Michael Humphrey found students with an interest in lifestyle and arts, such as architecture, food or fashion, tended to lean toward Pinterest when given the choice with Tumblr or Posterous for a digital media aggregation assignment.